CCL is a civil, drainage and water contractor of 40 staff based in Naenae with contracts spread around the Wellington region. The company has put in place robust health and safety systems and procedures that are followed from initial pre-tender phase right through to job completion. CCL achieved certification for ACC Workplace Safety Management Practices to Tertiary Level, the highest level, in February 2014, and that’s been retained after a recent re-audit. 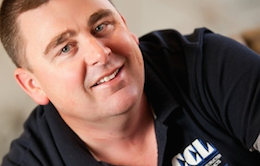 MD David Howard explains: "CCL staff members have the ability to voice any concerns or challenges they may have in a multiple of forums as well as to their team leaders and managers. The company has confidence in its people to do their job safely for their own, and their colleague’s wellbeing - enabling everyone to ‘get home safely every night’." Original generation time 4.0249 seconds. Cache Loaded in: 0.0381 seconds.